I subscribe to “Triathlete” and “Inside Triathlon” magazines, whose articles mostly feature elite athletes in their mid-20s with no visible body fat and limitless training time. While these athletes are incredibly impressive, I don’t find their times and stories inspirational. I’m 57 years old, with spinal discs that bulge and slip, knees missing cartilage, and one leg shorter than the other, as a result of breaking my pelvis in a bike crash. Then there’s my day job. As dean of Penn State’s Smeal College of Business, I spend 80 hours a week tending to the needs of 6200 students. When colleagues are heading home after a college event at 10:30 pm, I’m heading to the conference center pool to squeeze in a bit of practice. I think of myself more as a completer than competer. Yet I think most triathletes probably have more in common with me than with the athletes in the magazines. In that spirit, I’m writing to share some insights that have made my athletic pursuits much more satisfying and rewarding. After years as a runner, my myriad injuries made me consider triathlon . . . but first there was the matter of that open water swim. Total Immersion first made it possible to be a triathlete, then made it actually pleasurable. A TI Weekend Workshop gave me the confidence to enter a few sprint and Olympic distance races. In August 2008, I completed a Half-Iron distance, and, wondered if I could finish a full Ironman. The ease with which I completed a 2 ¼-mile ocean race on the final day of a TI Open Water Camp at Maho Bay last spring clinched the deal. In September, I heard the uplifting phrase “You’re an Ironman” while crossing the finish line at Madison in 16:09 – an unremarkable time compared to the folks in “Triathlete” but for me a lifetime peak moment. While the leaders were escorted through their final miles by motorcycles, I had an older woman in a motorized wheelchair telling me I was “special.” That was inspirational. And my day-long, 140.6-mile journey was affirming. At the start, I’d positioned myself far to one side. I recall thinking “What am I doing here with all these young, fit athletes?” Before we’d swum 3 minutes, I was instead thinking “What are some of these guys doing here” as I saw so many churning wastefully. Before the race I’d watched Terry’s video interview in which his advice was to strive to be the quiet center of whatever pack you found yourself in. 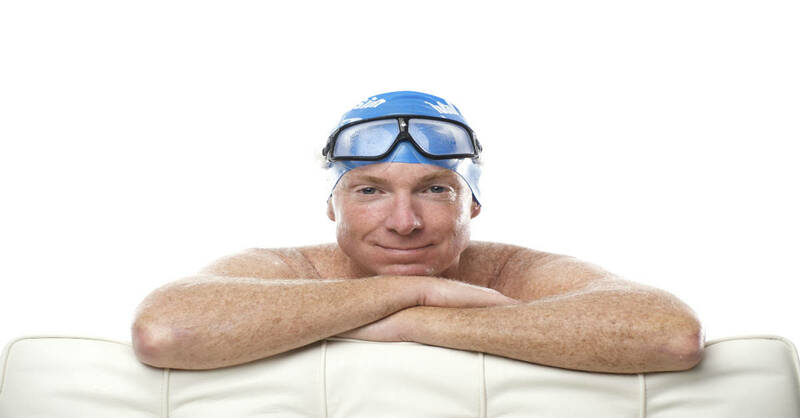 This focus – legs streamlined, arms extending, strokes measured — created what Terry calls a “cocoon of calm purpose” and led to my most memorable swim of all time. I jogged out of the water at 1:28, a pleasant surprise considering how easily I’d swum. But the more significant impact of my TI mindset was still ahead. I’d learned in training that the purposeful focus developed by TI practice also benefits cycling and running. As I set out for 112 miles of riding and 26.2 of running, I knew the unity of thought and action I’d established in the water would carry through the long day we all faced. I carried on as many around me were dropping out — not because of superior fitness, but because TI taught me to stay focused on this moment not the miles ahead. I had a “technique thought” for each stroke, pedal or stride. These thoughts seemed to propel me steadily to the next mile marker. Repeat 140 times. What could be easier? I kept my focus through transitions as well. Each lasted a languid 14 minutes. It was restorative to escape the heat and relax for a bit, but I wasn’t idle. I reviewed focal strategies — physical, geographical, emotional — to build confidence and to reinforce my calm state. So my advice to other adult-onset athletes is don’t rely solely on high profile athletes for direction or inspiration. Set your own goals and share your insights on what gets you through a long day, how you prepare, how you cope with intimidation in the swim, etc. Most of us have more in common with each other than with the better-known athletes. I hope this contributes to a dialogue from which we can all learn. Jim Thomas lives in State College, PA. He is the dean of the Smeal College of Business at Penn State University. He has been at PSU for 23 years as a faculty member and administrator. Jim is married to his support team and biggest inspiration, Michele. He has two kids in college and one recent grad all at Penn State. Well said Jim. I will read this again & again before next years triathlons. Refuse to be intimidated ! With an upcoming event looming (March 2010) and swimming not being my strongest sport your kind words reinforce the value for me in making my decision to use TI. Thank you for sharing. Really great article! I have the same frustrations with the glossy “Triathlete” magazines. I cannot relate to them but I CAN and DO relate to this article and the struggle and the personal accomplishment that it represents.